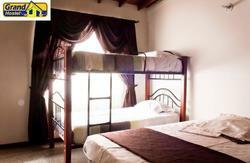 Geo Hostel is located in one of the most prestigious areas in Medellin. Being just a few blocks from Parque Lleras let's us ensure the best stay for the visitor and offer a safe and comfortable stay, having the convenience of being near recreational activities and entertainment highlights of the city and its surroundings. Geo Hostelis not only an inexpensive alternative for you to stay at, but it is also a space that stands out for having a unique environment amongst the hostels in the city. Geo Hostel is a completely new place which counts with 8 rooms ( 3 private and 5 shared, all with a private bathroom), a wet zone with jacuzzi, located on the top terrace that overlooks the valley of the city and mountains, a recreational area and kitchen with all the necessary facilities for the use of our guests. Geo Hostel has a contemporary look that consist of three floors, with communication technology of first class, guaranteeing our guests the possibility of keeping in touch with the outside world. The small number of occupants at Geo Hostel assure a personalized service allowing us to attend to your needs with immediacy and quality to our guests. At Geo Hostel we like to evoke the spirit of exploration of every traveler and for that reason we put all of our efforts in providing the necessary information so that our city can be discovered. Geo Hostel is born from a bicycle trip through South America where we perceived and learned that every experience on a trip is unique in itself and must be lived to the fullest. Because of this experience, our goal looks into every travelers comfort attending our guests with hospitality and a good vibe to make your trip an unforgettable experience. Take route A (Blue) which is the North to South Metro route towards Itagui, from Caribe Station located at the North Bus Terminal until Poblado Station. The Metro provides public service Monday through Saturday from 4:30 a.m to 11 p.m.; Sundays and holidays from 5:00 a.m to 10:00 p.m. 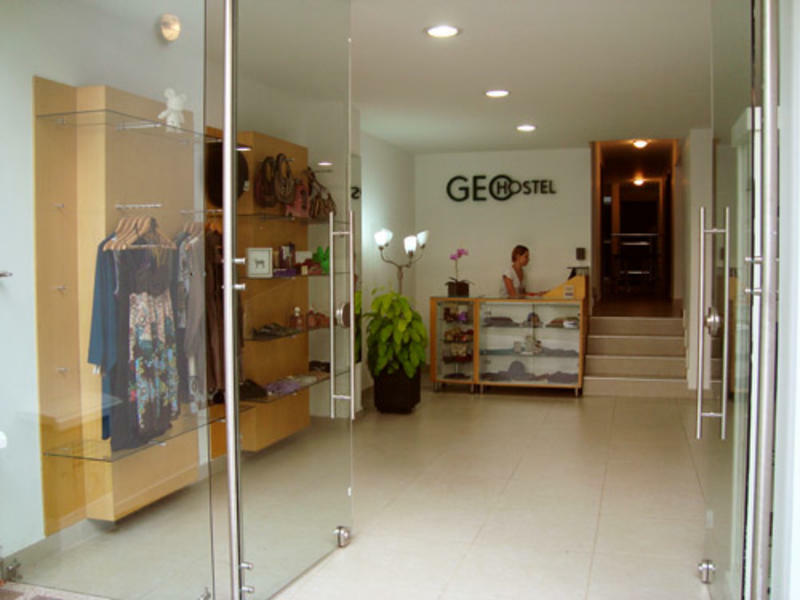 If you wish to walk from the station to Geo Hostel, you can go up Calle 10 towards Parque El Poblado. 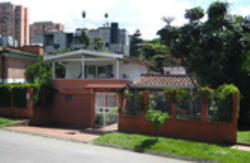 When you approach the park you will come by an intersection (Calle 10 - Avenida el Poblado). You must keep walking on Calle 10, obligating you to cross Avenida Poblado, until you come up to Carrera 35, where you must turn right. On the left sidewalk you will find half up the block Geo Hostel. You may also take from the Metro Poblado Station the integrated bus routes ( Route 133i - 134i - 134ii ) or a taxi that go up Calle 10. Whichever you choose you must be alert for Carrera 35, one block further from a Domino´s Pizza you will find on your right. A taxi will charge you the mi­nimum fee. Directions from the South Bus Terminal to Geo Hostel. Which ever means of transportation you choose, you must also find your way to Calle 10 towards Parque El Poblado as instructed above. The Comercial Hotelera bus route, that stops at this bus terminal, can also take you up to Parque El Poblado where you must get off and keep following Calle 10 until you get to Carrera 35. Directions from Jose Maria Cordoba international airport. The best way to arrive is by taxi or by a private service that can be acquired through Geo Hostel. If you take a taxi indicate the driver to take you to El Poblado. The price on either choices are the same. You can also take a public bus route that is located on the arrival platform on the lower level of the airport. This bus takes you to Centro Comercial San Diego where you must get off. If you wish to continue using public transportation you can take Route 130 or 132 on Avenida El Poblado. The buses will be labeled El Poblado via Parque Lleras. These routes take you directly up Calle 10 until Carrera 35 where the Hostal is located.